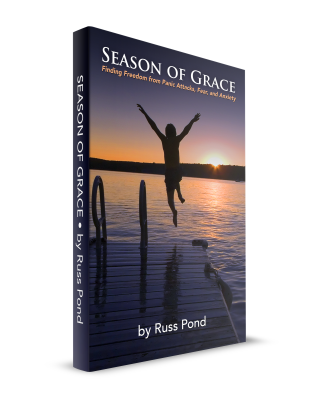 I’m so excited at the release of my new book, Season of Grace – Freedom from Panic Attacks, Fear, and Anxiety! This book is about the early years of my experience with crippling fear and anxiety. For more than two decades, I battled panic attacks and the fear that came with them. But today, I’m completely free! I wanted to capture my story, and the steps I took to find true freedom — practical steps (body), emotional and mental steps (soul) and spiritual steps (spirit). I wholeheartedly believe that tree freedom comes when you deal with all three areas. Order today! And start your path to Freedom from Fear.